Fentanyl was structurally designed by Paul Janssen in the early 1960s as a potent opioid analgesic (100-fold more potent than morphine). It is a full agonist at μ-opioid receptors and possesses physicochemical properties, in particular a high lipophilicity (octanol:water partition coefficient >700), which allow it to cross quickly between plasma and central nervous target sites (transfer half-life of 4.7–6.6 min). It undergoes first-pass metabolism via cytochrome P450 3A (bioavailability ~30 % after rapid swallowing), which can be circumvented by non-intravenous formulations (bioavailability 50–90 % for oral transmucosal or intranasal formulations). Non-intravenous preparations deliver fentanyl orally-transmucosally, intranasally or transdermally. Passive transdermal patches release fentanyl at a constant zero-order rate for 2–3 days, making them suitable for chronic pain management, as are iontophoretic transdermal systems. Oral transmucosal and intranasal routes provide fast delivery (time to reach maximum fentanyl plasma concentrations 20 min [range 20–180 min] and 12 min [range 12–21 min], respectively) suitable for rapid onset of analgesia in acute pain conditions with time to onset of analgesia of 5 or 2 min, respectively. Intranasal formulations partly bypass the blood–brain barrier and deliver a fraction of the dose directly to relevant brain target sites, providing ultra-fast analgesia for breakthrough pain. Thanks to the development of non-intravenous pharmaceutical formulations, fentanyl has become one of the most successful opioid analgesics, and can be regarded as an example of a successful reformulation strategy of an existing drug based on pharmacokinetic research and pharmaceutical technology. This development broadened the indications for fentanyl beyond the initial restriction to intra- or perioperative clinical uses. The clinical utility of fentanyl could be expanded further by more comprehensive mathematical characterizations of its parametric pharmacokinetic input functions as a basis for the rational selection of fentanyl formulations for individualized pain therapy. 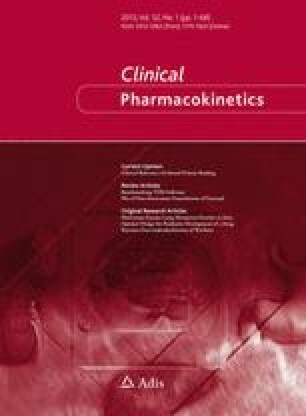 “Landesoffensive zur Entwicklung wissenschaftlich-ökonomischer Exzellenz”: “LOEWE-Schwerpunkt: Anwendungsorientierte Arzneimittelforschung” (JL and GG) for supporting the pharmacological research environment for human pharmacokinetics in a comprehensive drug development facility located at the bridge between pharmacological research in academia and in the pharmaceutical industry, hosted in the “Fraunhofer Project Group Translational Medicine and Pharmacology (IME-TMP)” at Frankfurt am Main, Germany. The authors have declared that no competing interests exist. This paper was written using Free Software programs on an office and home PC running Ubuntu GNU/Linux. NHS Information Centre. Prescription cost analysis England 2007. http://www.ic.nhs.uk/statistics-and-data-collections/primary-care/prescriptions/prescription-cost-analysis-2007. Accessed 3 Oct 2012. Flockhart DA. Drug interactions: cytochrome P450 drug interaction table. Indiana University School of Medicine; 2007. http://medicine.iupui.edu/clinpharm/ddis/table.aspx. Accessed 20 Jun 2012.